Today, marketers are thinking outside the box for their product packaging and using their containers and cans to create connections with consumers that are powerful in every sense of the word. They’re adding interactive social elements to their product packaging design to make their packages a part of their social media strategy. By integrating social media into their packaging, marketers are extending their campaigns to each box and bag to make them interactive at every level. And these interactive items don’t need to be costly or complex. In fact, some of the biggest brands are making the biggest impact with some well-placed words, personal touches, and augmented reality apps. SmartBlogs.com reported on how this socially savvy packaging is packing a real—and real-time—punch. Dole Sticks with Its Peel the Love Campaign ­– Consumers have been going bananas over Dole’s simple idea to place inspired, interactive stickers on its banana peels with its Peel the Love campaign. The company has been socially strategic with its stickers by printing them with a one-word suggestion for enjoying the banana, along with a QR code that offers access to a bunch of online recipe ideas. The stickers allow Dole to maximize its minimal packaging space, while the QR codes drive traffic to its website. These QR codes have been so effective because they reward consumers with valuable content that’s relevant to their experience. Recently, Dole made this successful campaign even more appealing with its Peel the Love Food Truck tour that traveled the country to bring samples, games, and recipes to banana lovers everywhere. This offered Dole real-time face time with consumers and created memorable experiences that will stick with shoppers in the supermarket. Coca-Cola Gets Personal With Its #ShareACoke Campaign – The Coke bottle is a pop-culture icon, but now its #ShareACoke campaign gives bottles a pop of personalization by printing customers’ names right on the labels. The company is replacing its signature logo with any one of the 250 most popular first names in the nation. Consumers who can’t find their names can design their own bottles online at the Share a Coke microsite, which they can share on the site’s gallery or through social media. And to inspire interactivity, Coke is rewarding consumers for social sharing. The first 500 people to share a selfie with the hashtags #ShareACoke and #SelfieSweeps on Twitter or Instagram get automatic access to major music events. Plus, the top ten posts each day will get a free month of Spotify Premium. This name campaign creates an instant personal connection for customers by making them feel valued by the beverage brand. And the personalized nature of both the campaign and social media should compel them to share photos of their custom bottles throughout their social media circles. Pepsi Keeps It Real with Augmented Reality Apps – The beverage giant is using its cans to connect consumers to its social side. Pepsi is leveraging a new augmented reality app called Blippar, which takes its cue from QR codes in the ways it lets consumers scan their cans with their phones to access interactive incentives. The app will play a part in Pepsi’s 2015 Super Bowl sponsorship by offering automatic entry to sweepstakes, links to a microsite, and social sharing features that let users add their faces to NFL player photos to share on social media. Pepsi is even printing its cans with step-by-step instructions for using the app, which is another uncanny use of interactive social media packaging. Augmented reality apps are a fun, friendly way to reach consumers and influence their purchasing decisions. Be aware that initial app development may take some time and resources, but these apps can be easily adapted to any campaign at any time. Just remember that consumers may need to be taught how to use this new technology. By adding interactive social media features to a product’s packaging, brands can package their messages in the most engaging, exciting, and effective ways. 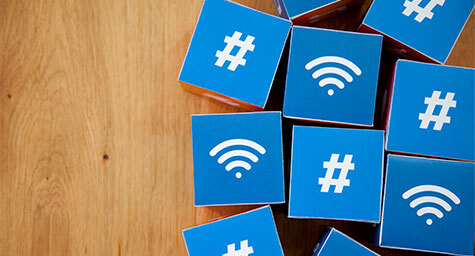 Connect with the latest in social media marketing and interactive packaging. Contact MDG Advertising. MDG Advertising is a full-service advertising agency and one of Florida’s top branding firms. With offices in Boca Raton and New York City, MDG’s core capabilities include branding, logo design, packaging design, print advertising, digital marketing, mobile marketing, email marketing, media planning and buying, TV and radio, outdoor advertising, newspaper, video marketing, Web design and development, content marketing, social media marketing, and SEO. To discover the latest trends in advertising and branding, contact MDG Advertising.